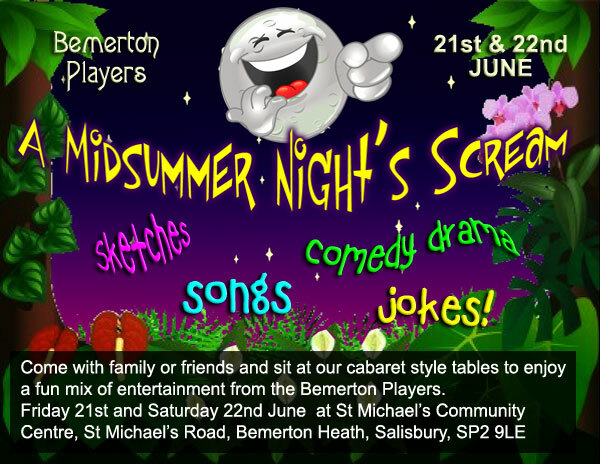 Performed Friday 21st and Saturday 22nd June. "And the verdict ..... ? Well worth a fiver – and if you’ve yet to make plans for tomorrow night see if they have any tickets left. The first half “Holmes, Sweet Holmes” was my favourite sequence – with Sally Marshall giving a wonderful performance as Mrs Bennington-Smythe – very funny! Second half I’d have to go for Ashlee Male’s portrayal of the Herald in “Medieval Help Desk” – mesmerising. And I feel the need to mention the great talent of the MC come link man John Bruce who held the sequences together with his great wit and convincing Italian accent. 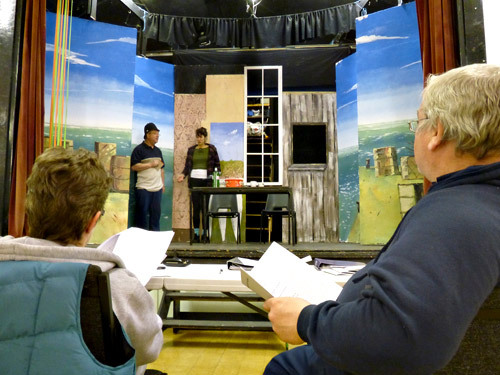 This was amateur dramatics at its best – some great performances and some entertaining amateur moments with the occasional continuity pause and a line or too that needed prompting! Well done to the whole cast and support crew – we’ll definitely be back to see a future production"